The U.S. Congress is charged with responsibility for the protection and preservation of American Indian tribes, including Indian children. In 1978, Congress enacted the Indian Child Welfare Act (ICWA), with the intent to "protect the best interests of Indian children and to promote the stability and security of Indian tribes and families." ICWA sets federal requirements that apply to state child custody proceedings involving an Indian child who is a member of or eligible for membership in a federally recognized tribe. ICWA also sets out federal requirements regarding removal of Indian children and their placement in foster or adoptive homes, and it allows the child's tribe to intervene in the case. The history of the Act is a tangle of legal, social, and emotional complications. Some state courts have found unusual legal arguments to avoid applying the law, while some states have gone beyond the terms of the Act to provide greater protections for Indian people. 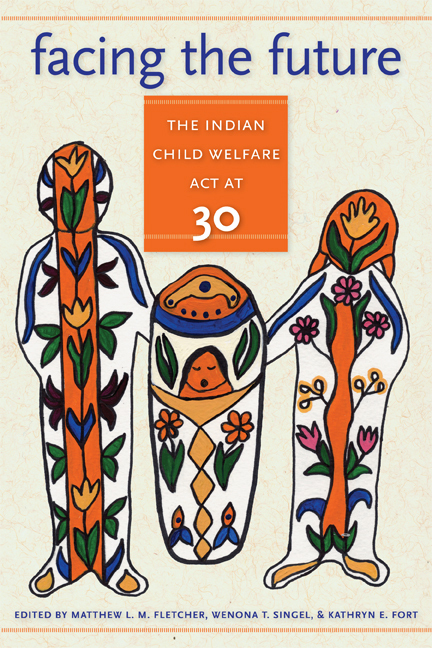 This collection brings together for the first time a multidisciplinary assessment of the law—with scholars, practitioners, lawyers, and social workers all offering perspectives on the value and importance of the Indian Child Welfare Act. Wenona T. Singel is an Assistant Professor and Associate Director of the Indigenous Law and Policy Center at Michigan State University College of Law. She is an Appellate Judge for the Little Traverse Bay Bands of Odawa Indians, of which she is an enrolled member, and the Grand Traverse Band. Kathryn E. Fort is an Adjunct Professor and Staff Attorney for the Indigenous Law and Policy Center at Michigan State University College of Law.